Oh, summer, the season of lazy pool days, sandy beach feet, museum-going, ice-cream eating, popsicle-dripping, hammock-swinging, baseball playing, firefly sighting, and road tripping. 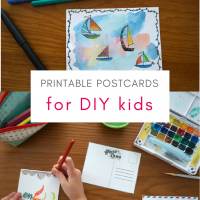 Whether you’re taking a local hike or heading out of town, print up a batch of these DIY printable postcards for kids and tuck them in a bag along with a simple travel art kit and a sketchbook for art journaling. Thank you to Elmer’s for sponsoring this post. I’m a long-time fan of Elmer’s for everything from slime to DIY colored glue. All opinions shared here are my own. Elmer’s Extreme Glue Stick – this glue stick is fantastic for connecting papers that you don’t want to separate. Cut out another piece of card stock to match the postcard size. 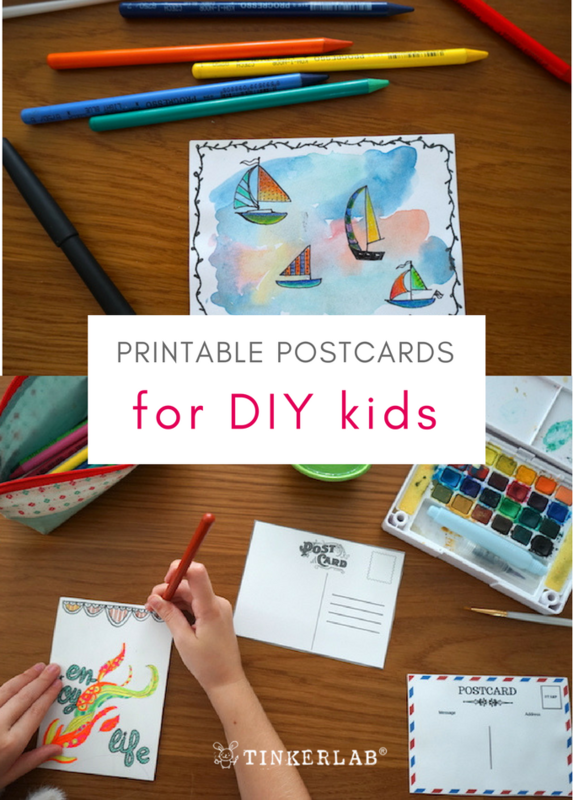 Glue the postcard to the blank card stock using a heavy duty glue stick. Two pages are necessary, otherwise your card will be flimsy and less postcard-like. 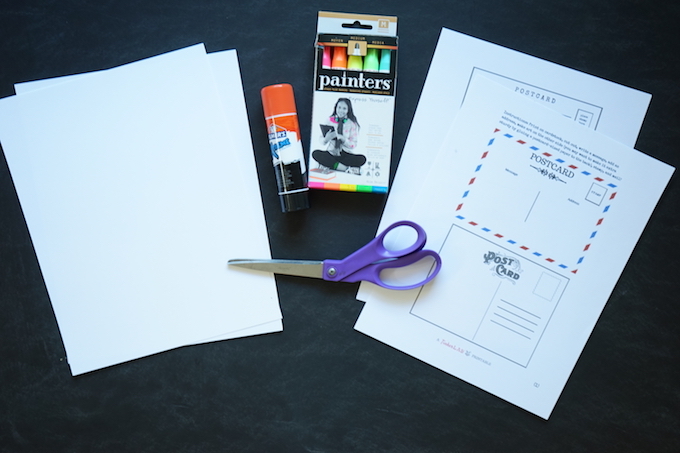 Decorate the blank back with a picture of your travels or uplifting message. 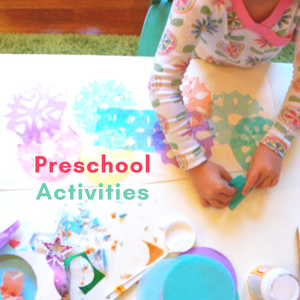 Write your greeting, add an address, stamp, and mail! 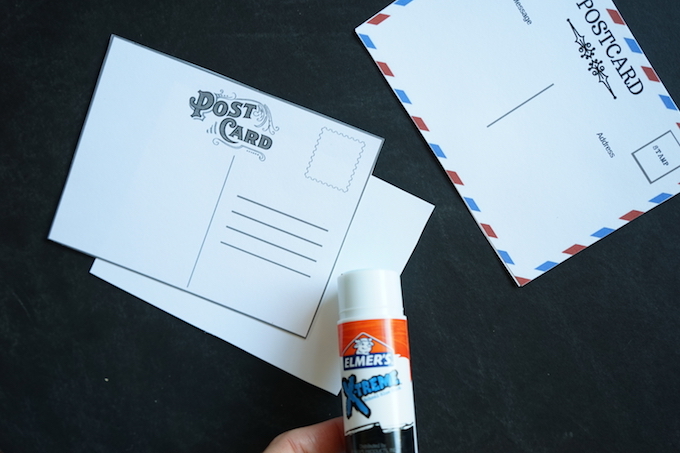 This step is super important if you want your postcards to feel sturdy enough to mail: Glue a piece of card stock to the back of your postcard with a heavy duty glue stick like Elmer’s Xtreme. 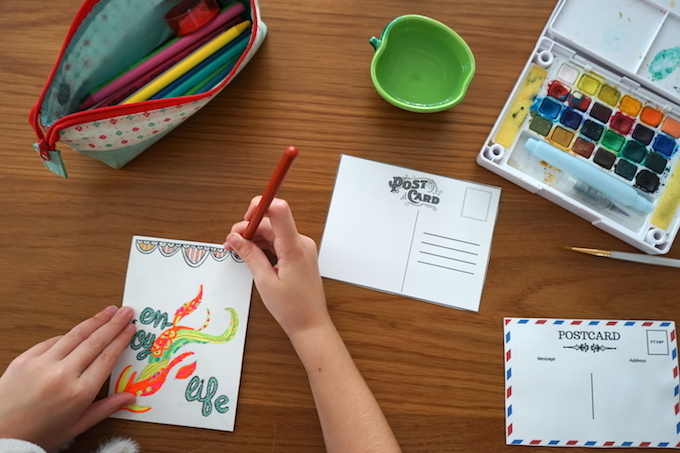 Bring your postcard on your trip, along with art supplies. We made this a family collaboration– my daughter drew the message and I added color with color-rich Painters paint pens. Read on to see how we finished it off. We’ve been playing with calligraphy pens lately and picked up the Manuscript Leonardt set (pictured below) for a recent trip. As an aside, I wouldn’t normally recommend an open container of calligraphy ink on a flight (be careful!! ), but we had smooth skies and luckily no ink was lost. I added some black ink flourishes. 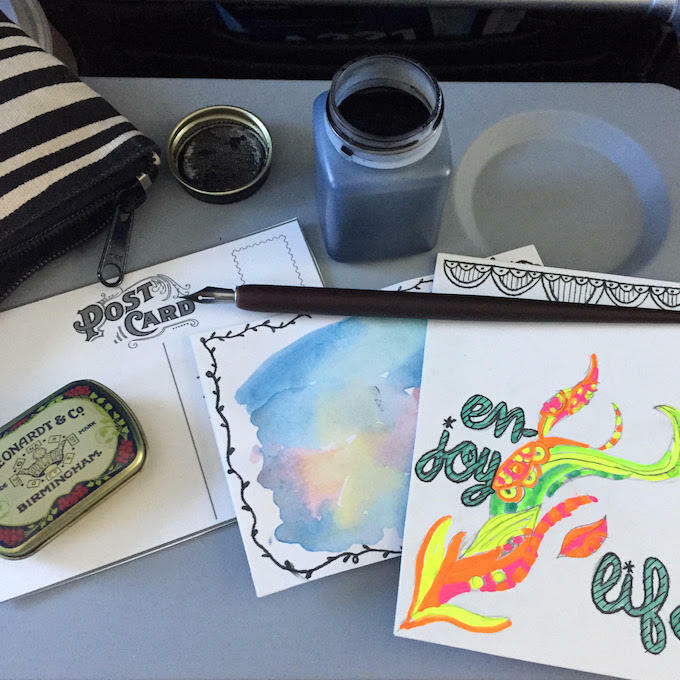 Once we landed, my littlest added splashes of color with colored pencils, and then our postcard was ready to get shipped off. 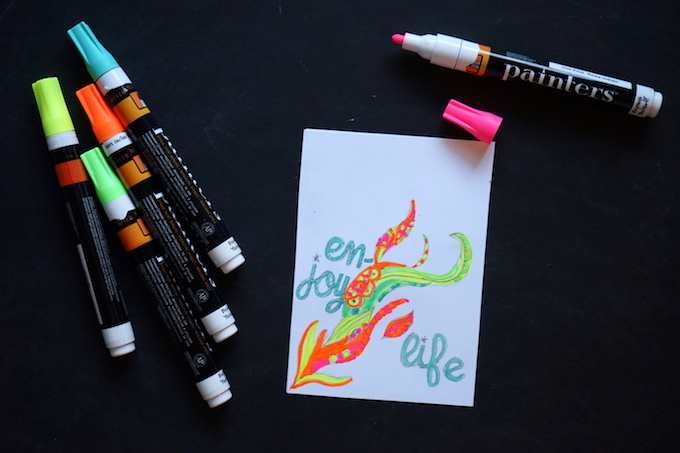 We’re also using the Progresso Woodless Colored Pencils (such rich colors – amazing! ) and the Koi Watercolor Travel Set (24 colors) (also a travel favorite!). 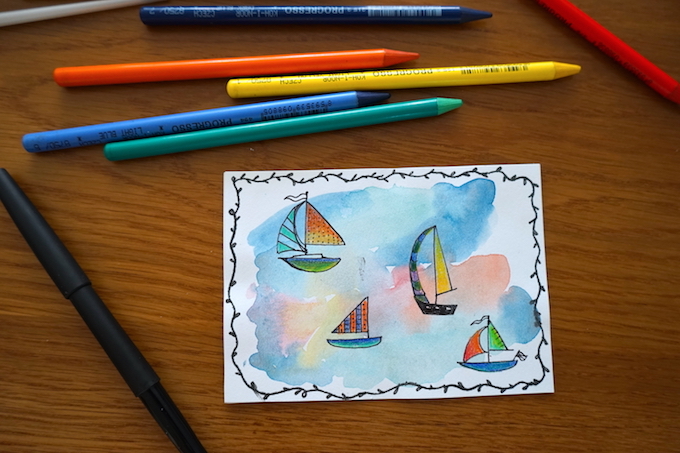 After a visit to the beach on a windy day, sailboats were in order. What do you think? Wanna print up a stack and carry them along for impromptu love notes? Of course you do! 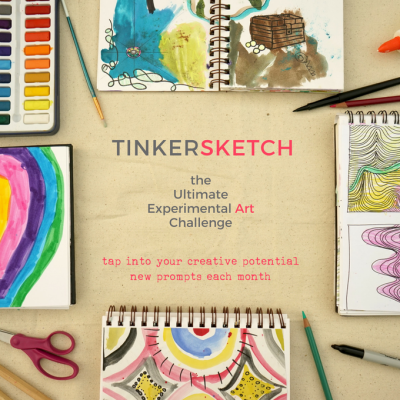 If I get a few cards, maybe I’ll even attach photos of your art to this article! We were just beginning to plan our trip to Italy when my friend Olivia mentioned that the World Expo, Expo 2015, would be in Milan at the same time as our trip. How fortuitous! The heavily architected pavilions are a designer’s dream and knew this would be our family’s cup of tea. In addition, the theme of Expo 2015 is Feeding the Planet, Energy for Life — yum, food!! — further proof that it could be a fun family adventure to detour over to Milan for a few days. 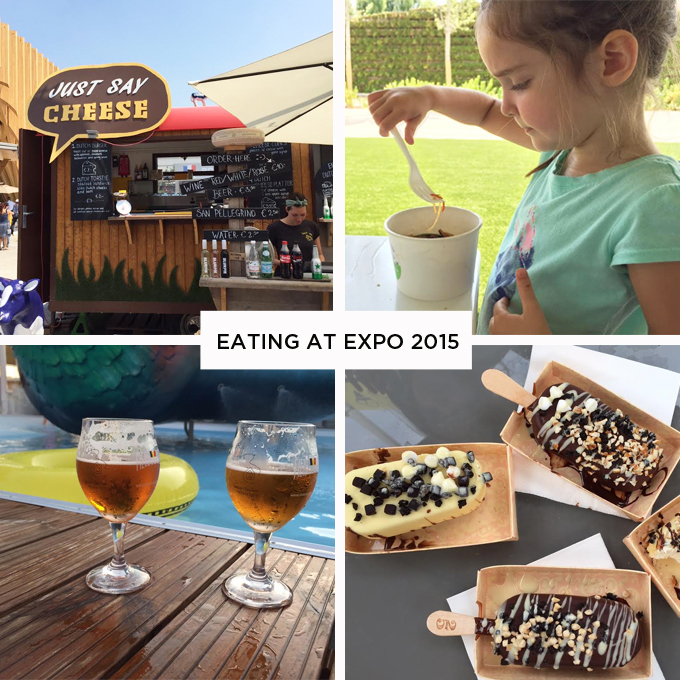 Despite the heat, we had an amazing time and I want anyone planning a trip to Italy to know how easy and worthwhile Expo 2015 can be for kids. 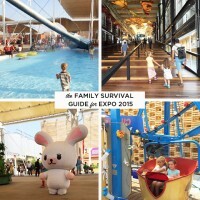 This Family Survival Guide includes everything you need to know for getting the most out of your Expo 2015 experience with kids. 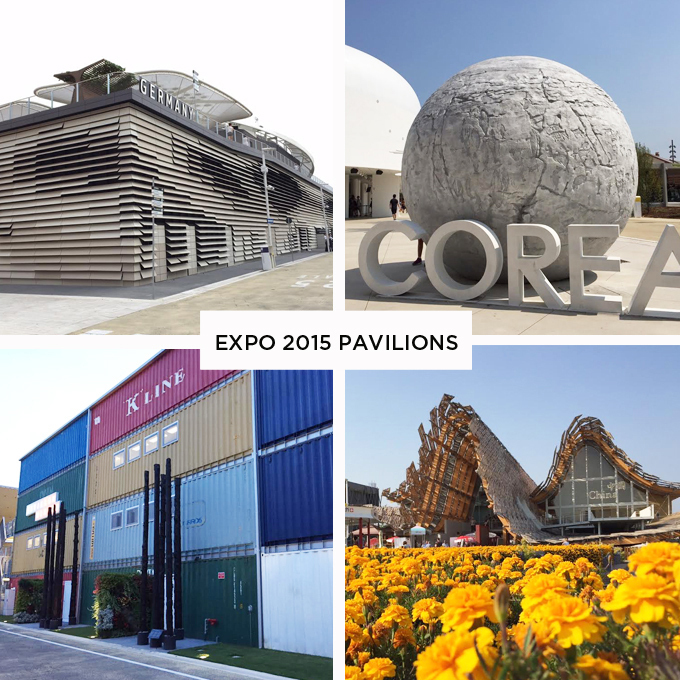 This year’s Universal Exposition, Expo 2015 takes place in Milan, Italy through October 31, 2015. 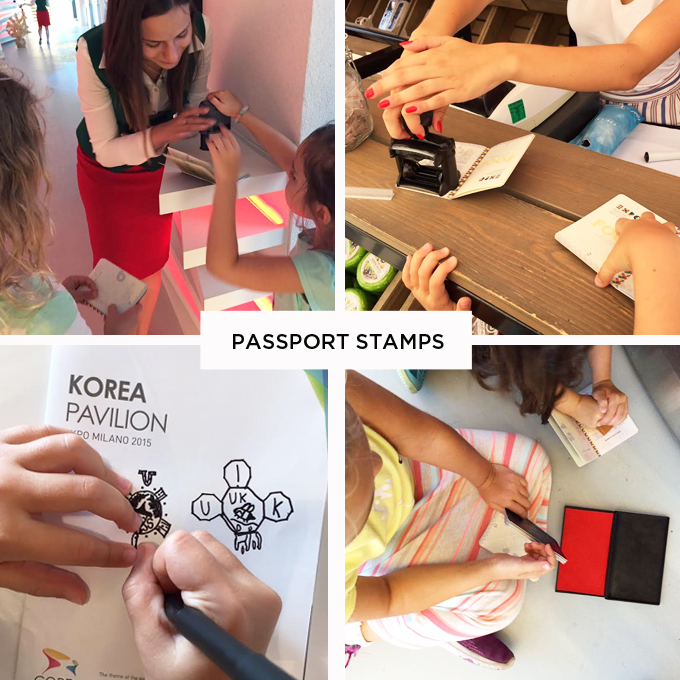 As you walk through the main gate, you enter a theme park filled with 54 enormous national pavilions, food venues, 140 participating countries, and open spaces that are a wide-open playground for kids, adults, and families to explore. There are even a few small-scale rides, but you have to hunt for them. More on that in a minute. The scale and quality of the pavilions is mind-blowing, especially considering that the whole event takes place for just 6 months. It would be an amazing thing to see these world expo sites repurposed as universities or small towns at the close their runs. With 145 participating countries, getting to all of the pavilions in a day is an impossible dream. On a hot day, you can anticipate visiting 5-12 pavilions a day with kids. This number all depends on the heat, lines, what times you arrive and leave, and your energy level. We were there for one full day and one half day and managed to visit about 15 pavilions altogether. 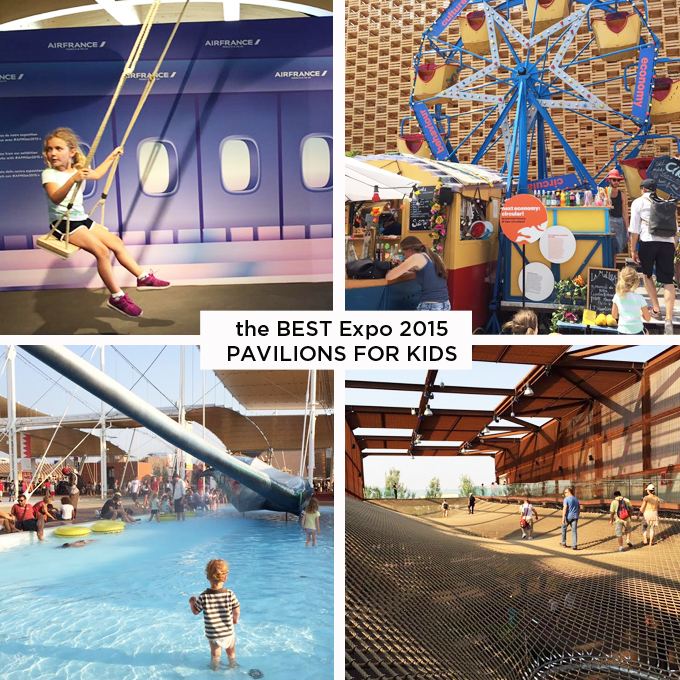 With that in mind, I’ll share my top pavilion picks for families to help you maximize your time. Estonia: One of the pastimes in Estonia is relaxing on swings in the countryside. To capture that feeling, they installed a wall of swings. My kids loved this in the evening. Switzerland: There a number of pavilions within the pavilion. The one that stands out is the main pavilion that’s made up of four pillars. There is a separate line and entrance for this via an elevator that carries a small group of people up to the top of the pillars. Each pillar is stacked with one of four consumable foods: coffee, apples, salt, and water. When you enter the silos, it’s explained that you can take whatever you want, but to be mindful that the commodities should last for the entire Expo. When you look up it’s evident how much has been taken and how much remains, making it an excellent lesson in sharing limited resources. Morocco: Next to Turkmenistan is an inviting Moroccan garden, landscaped with fragrant herbs such as mint, lavender, and rosemary, twisting paths that the kids loved chasing each of around, and a long, gurgling creek. We visited in the evening and it was delightful! China: The highlight in this pavilion was the silk worm display. My kids raised silk worms earlier this year and it was cool to see what appeared to be 1000’s of silk worm cocoons. Since the theme of the Expo is “food,” of course it is not at all difficult to find good things to eat. I wish I could do this more justice, but because of the heat we weren’t enormously hungry and the girls were not feeling too adventurous to try new things. Each country sells food and you don’t have to wait in the main pavilion line for it. You’ll find many of the food stalls or restaurants on the side or back of the pavilions. Food is not cheap! My 4-year old adores Korean jap chae, so we ordered a bowl. It was tiny, like a small scoop of ice cream, and it cost €10. Raclette from Switzerland, served with potatoes and pickles. I could have eaten this all day. Kale and salmon salad from the USA. I can’t remember the exact cost, but it was under 10 Euro, delicious, healthy, and filling. We ordered the kids hotdogs, which they do not recommend. For a taste of home, McDonalds built a restaurant where you can find favorites including Happy Meals. It’s very easy to find Italian food and coffee bars. Everywhere. One of my favorite memories from visiting Expo 86 in Canada was carrying around a passport to collect stamps from the pavilions we visited. We were sure to pick up passports for our kids at a kiosk near the entrance gate (for a fee). The kids enjoyed collecting and comparing the stamps. They also took it upon themselves to design their own stamps! Totally worth the cost. One of the highlights of our time at Expo was taking in the Allavita! show. On the train to Milan we had the great luck of making friends with one of the aerialists, Leah Christiana, and she invited us to see her in the show. What a treat! My kids were beside themselves with joy. Leah is one of the bungee babes and you can follow her Facebook page for up-to-date info on her performances. The show begins at 9:30 pm. Kind of late for little ones, but a thrilling experience if they can stay up for it. 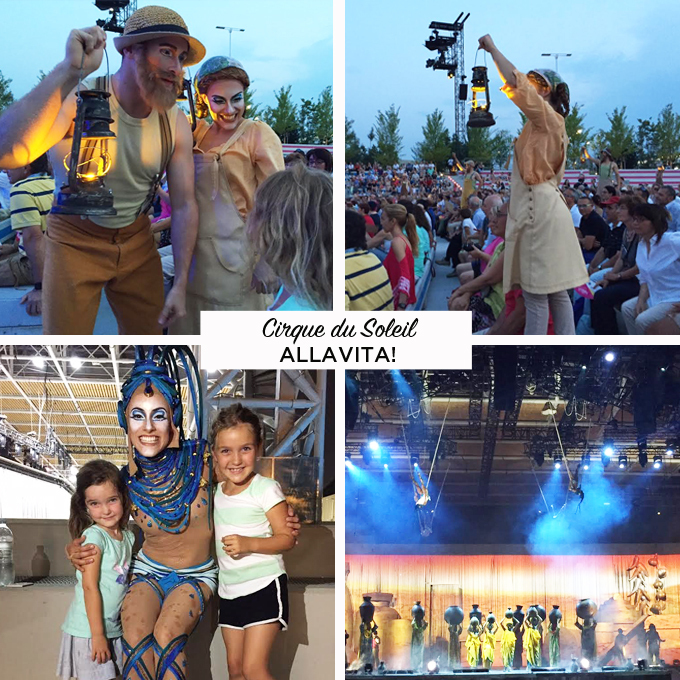 Designed by Circque du Soleil exclusively for Expo, 2015, the show was amazing! It’s scheduled to run through August 30, so check ahead for dates if you don’t want to miss it. Tickets are not included in the Expo admission ticket, and must be purchased separately for €25,€30, and €35. I would recommend splurging for the more expensive seats because you’ll see everything sooo much better. 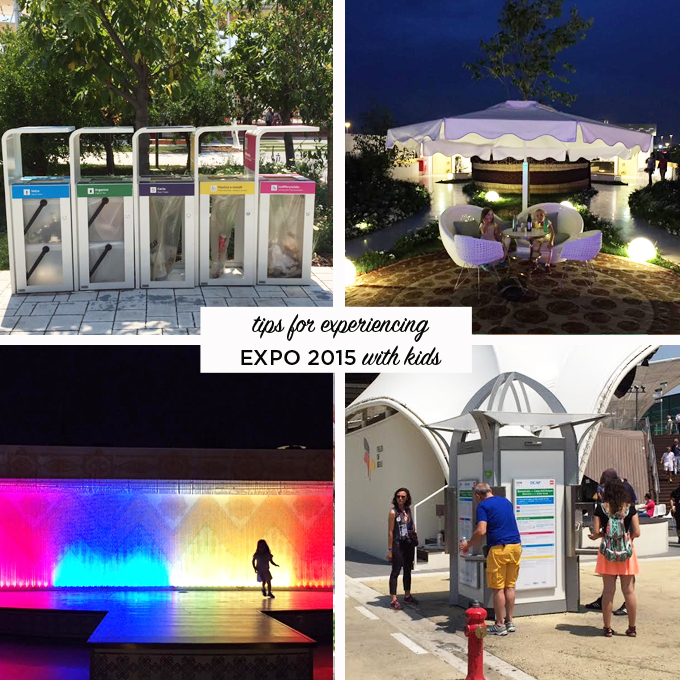 And if all of that isn’t enough, I have a few more tips for making Expo an enjoyable experience with kids. Bring water bottles. There are free water refill stations located throughout Expo, offered very cold flat and bubbly water (bottom right). We used this A LOT. Borrow a FREE Stroller. If you need a stroller, Chicco will loan you a stroller for no cost. Pick one up in the welcome area by the Triulza Ovest entrance. You can reserve yours by clicking here. Supply is limited. Wear a pedometer or fitness tracker. We picked up the inexpensive CSX walking tracker (affiliate) before our trip, and it made all the miles we packed on that much more fun to accumulate. We tracked our steps and could’t believe that we walked over 10 miles the first day, including the walk from our apartment to and from the metro station! With toddlers, a stroller (see stroller tip, above) will be a lifesaver. Baby-friendly offerings. High chairs, bottle-warmers, and baby-food warmers are available at Eataly, Tracce, Chiccotosto, Viavai, Let’s Toast, and Aroma. There are also breastfeeding and baby changing areas. Download a family-friendly map that shows these offerings. Don’t worry about Bathrooms. There are clean toilettes everywhere and we never had to wait in a line. Avoid the Crowds. It was very crowded and lines were long in the morning. When we were there, things seemed to clear out between 4 and 7 pm. Expo offers €5 tickets to people who arrive after 7 pm, which is when the lines seem to pick up again. Use the free wifi. There are wifi hotspots around Expo, but they weren’t consistently easy to find so we mostly skipped using it. Stay cool. If you go in the summer there’s a good chance it will be hot. Really hot. And humid. It was 38C/100F when we were there. Wear sunscreen, sunglasses, bring a water bottle for free refills, and bring a hat or umbrella. Finally, find the Czech Republic pool or an air conditioned pavilion if you just can’t bear it. Expo takes place northwest of Milan by the Rho-Fiera metro station, about 25 minutes from downtown. venue a few minutes from downtown. If you know the date/s you plan to visit, you can save money by purchasing a fixed date ticket. There are also open date tickets for just a little bit more. Children under 3 get free admission. There are also special student and senior prices, so be sure to grab those if you qualify. Buy tickets online. Take a screen shot of the digital tickets to scan at the entrance gate. The Family Package includes one-day admission for two adults and two children for €86 (fixed date) and €99 (open date). More children can be added to the package at purchase. If you’re planning to go for two consecutive days, the 2-day pass is a better deal. Night Tickets. For extra savings there are evening only tickets for €5 for entry between 7 pm and 11 pm. 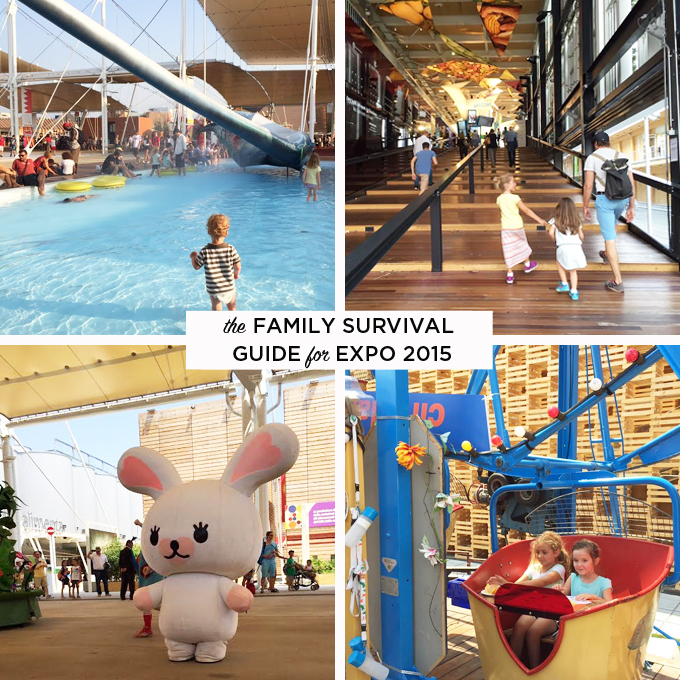 Expo is open everyday from 10 am-11 pm, through October 31. Expo is located in the Northwest area of Milan, about 25 minutes from the city center. It’s easy to get to via subway. Take the Metro Linea 1 (red line 1) to the Rho-Fiera Milano Metro station. Purchase an anextra-urbano (extra-urban) ticket for €2.50 each way. You can get this from a machine at most Metro stations. Keep your ticket so that you can use it to exit. Children under 10 travel free of charge on the metro when accompanied by an adult in possession of a valid ticket or travel card. More details on how to get there, including a Metro Map, can be found on the Expo 2015 website. By car, there are parking lots near Expo that are available by reservation. If you were to ask my six-year old about her favorite places to visit, she would say they are Cape Cod and Disneyland. I’ve asked her this question many times, and it’s always the same. Cape Cod is a magical summer playground with lots of opportunities to hang out at the beach, spend time with family, and eat ice cream. And Disneyland? Well, it’s Disneyland! 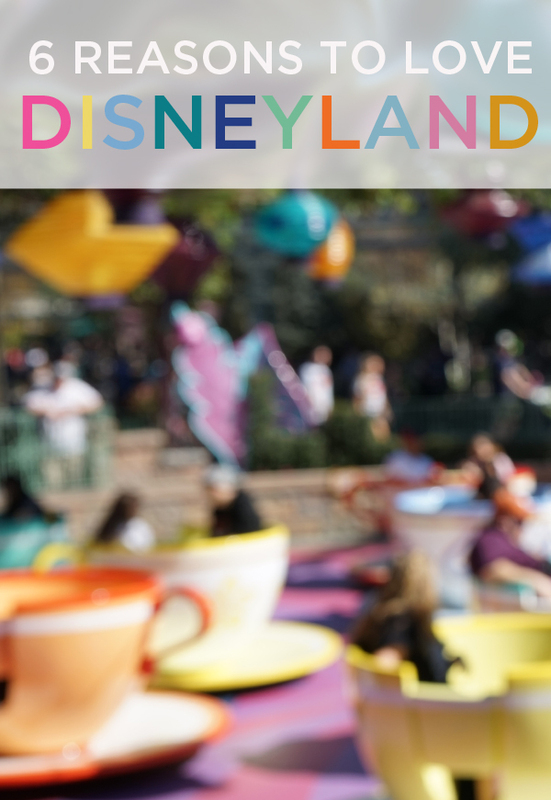 And for starters it‘s home to the main street of Walt’s childhood dreams, rides that excite the most fearless five-year olds, and animated characters that come to life beneath pint-sized castles and miniature mountains. 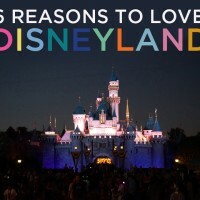 I was raised in Southern California, and Disneyland was a staple of my childhood. One year my parents sprung for off-season passes (thanks, Mom and Dad!) and we spent every free weekend trolling Big Thunder Mountain and the Haunted Mansion. To say I loved Disneyland would be an understatement. 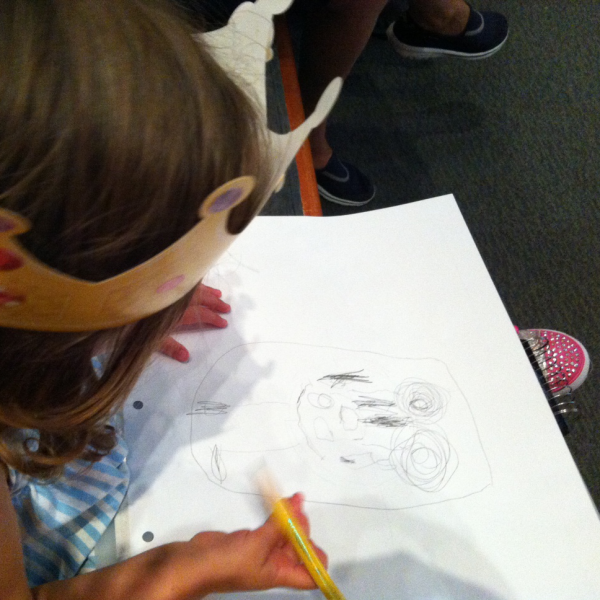 As I got older, my thoughts on Disney began to shift as I grew concerned that my daughters would become princess-obsessed monsters and that their childhoods would be burdened by the commercialization of play. Despite my best attempts at keeping princesses from my kids, they love princesses: Ariel, Elsa, Anna, Cinderella, Snow White. There doesn’t seem to be a princess that doesn’t capture their imaginations. 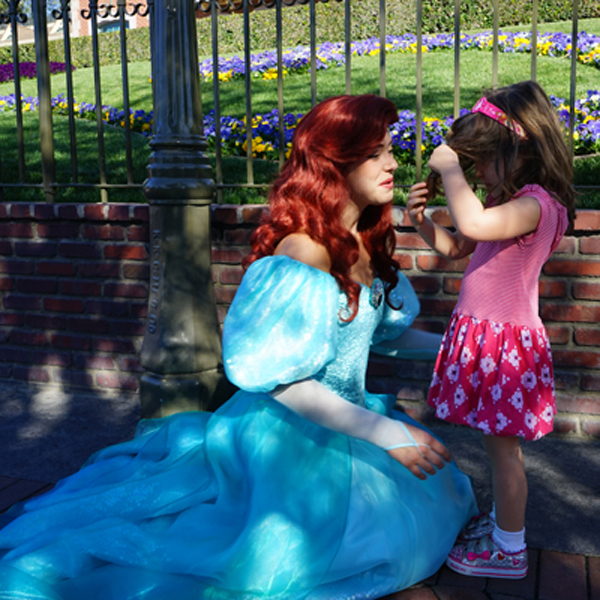 Let me demonstrate in this photo where my three-year old discusses hair with princess Ariel. Raising two girls in a princess-saturated culture has inspired me to guide their interests to other things that balance these fairy tale characters with a healthy cast of swashbucklers, space explorers, fairies, and wizards. Their imaginations don’t seem to be lacking, and they also don’t seem to revere princesses to the point that there are no other options. So three years ago we decided to make our first family trip to Disneyland, and I was skeptical that it would be too sugary-sweet, commercialized, and cloying. But I was surprised! I don’t know why, but my kids are so darned happy at Disneyland. 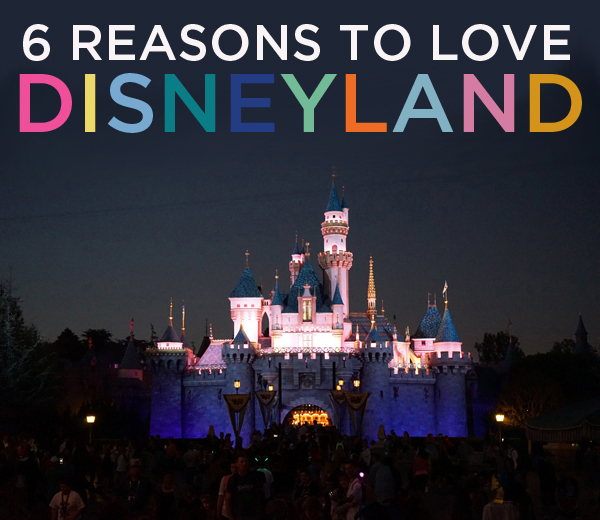 Maybe it’s because we give them our undivided attention, they get to eat sugary treats, everything at Disneyland is spotless, many of their favorite characters come to life before their very eyes, or they’re plain ol’ thrill seekers. Walt Disney knew how to design a magical atmosphere, and I’m in awe of his vision. But mainly, I love that Disneyland has been such a positive place for our family, and that we’ve been able to build some strong family memories there. Everywhere you go, music is subtly (and not-so subtly) piped in to make the experience more immersive. Disney has it figured out! 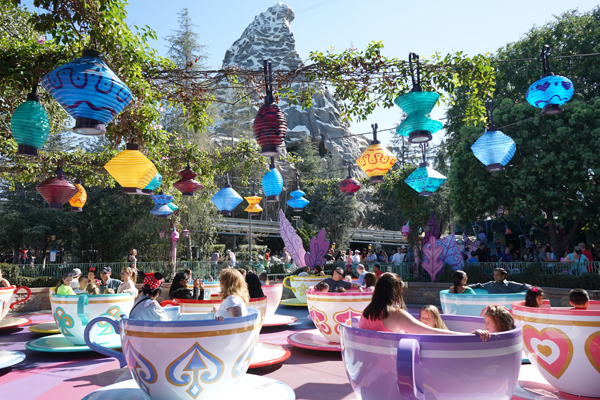 I can’t even look at this picture of the tea cups without singing the Mad Hatter’s theme song in my head. As I returned to real life, when done well, I marveled at how nice it is when music plays a background role in an experience. Dole Whips from the Tiki Juice Bar next to the Enchanted Tiki Room. Be sure to send a runner to grab a couple of these if you’re baking in the heat while waiting to meet Anna and Elsa. Want to make these at home? 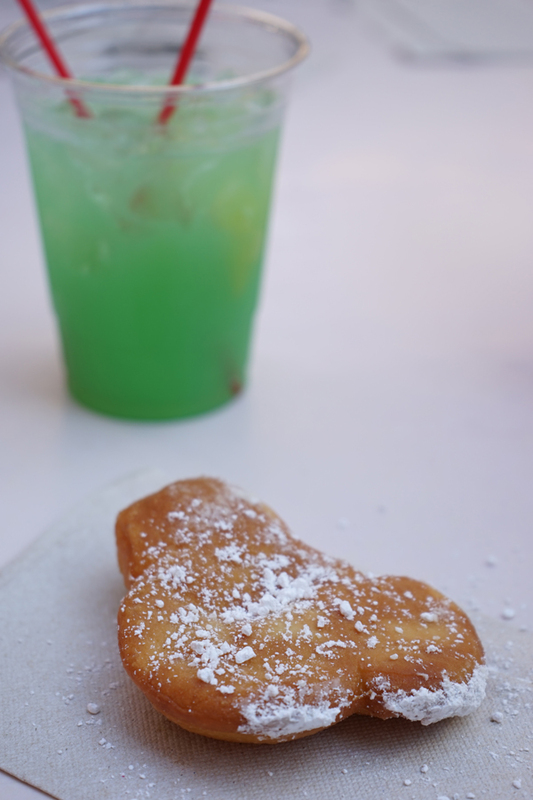 Lil’ Luna shares her Dole Whip recipe here, and the Disney Food Blog shares the Mint Julep recipe here. If you’re celebrating a special occasion, you won’t be disappointed by making a reservation (required) for Blue Bayou in Pirates of the Caribbean. At the time of this post, you can make reservations up to 60 days in advance. Book early! Special effects and a little Hollywood magic have turned the indoor restaurant room into what a appears to be a twilight Bayou oasis. My parents took us there once in my childhood, and I never forgot it. 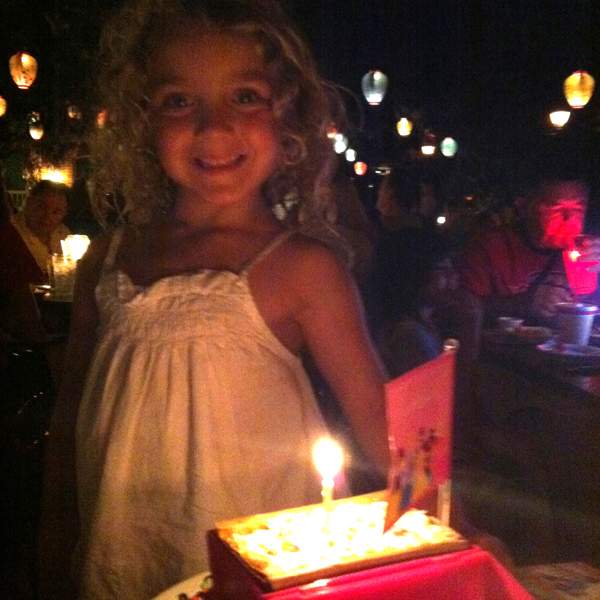 When N turned five we celebrated under the stars as boats embarked on the pirate adventure next to us. If you’re celebrating a birthday, as we were, you have the option of pre-ordering a cake that comes in a treasure box. Yes, please! 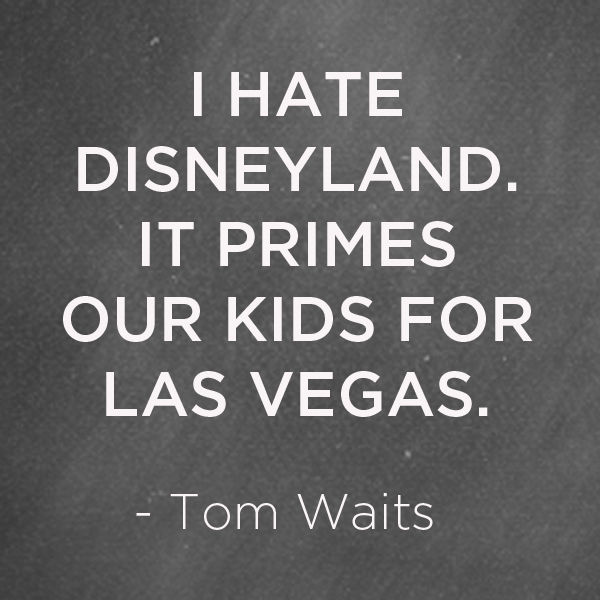 It’s not cheap, but Disneyland isn’t something that we do every day. It doesn’t sound fancy, but the corn dogs at the Little Red Wagon, a little cart near Carnation Plaza off of Main Street, is worth a stop. For $7.69 you get a super good hand-dipped corn dog and apple slices or chips. On our most recent visit I introduced my kids (ages 3 and 5) to the idea of hidden Mickeys. Hidden Mickeys started out as a private joke amongst Disney’s Imagineers who would secretly place the Mickey symbol (one large circle with two smaller circles above it) around the park, and it soon grew into a widespread phenomena that lives on throughout all Disney theme parks. One of the best parts of our hidden Mickey hunt is that it kept my kids’ minds occupied on long walks between rides and while waiting in line. My older daughter was so excited to spot one while waiting in line for Space Mountain. Pretty clever, eh? One of the more genius things that Disney has introduced for families with small kids is the Rider Switch program. If you’re visiting Disneyland with a child that’s too small to go on, say, Indiana Jones Adventure, one adult in your party can go on the ride while the other adult takes small children on a gentler ride. The first adult gets a rider switch pass that they pass on to the waiting adult who can then go straight to the front of the line without waiting. We used this A LOT! Last year we visited California Adventure, which is next door to Disneyland, and they host a fantastic Animation Studio where you and the kids can learn how to draw animations with a real animator. So awesome. 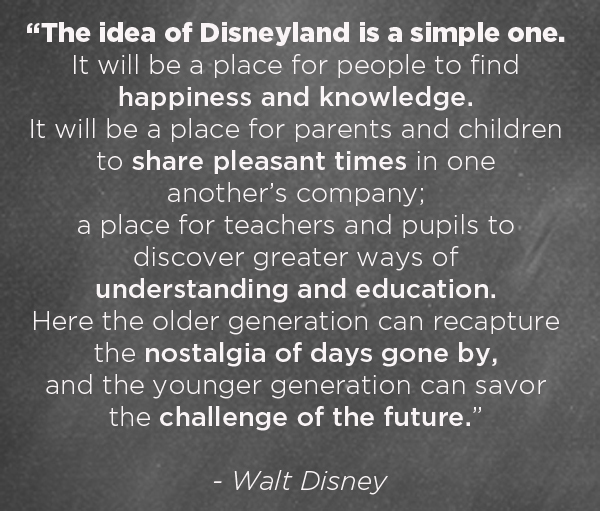 There are so many rich opportunities to introduce children to the worlds of art and engineering through the clever and immersive Disney experiences. When you think about what makes the Jungle Cruise, Pirates of the Caribbean, and It’s a Small World so captivating, it’s partially how they’re brought to life with life-like animatronic characters. 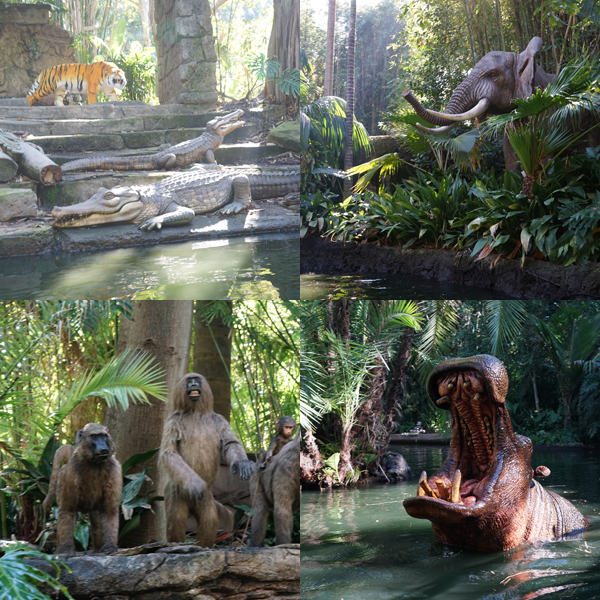 The Jungle Cruise is hilarious, especially with the right guide, and the surprising realistic animals give rise to even the most jaded adults. 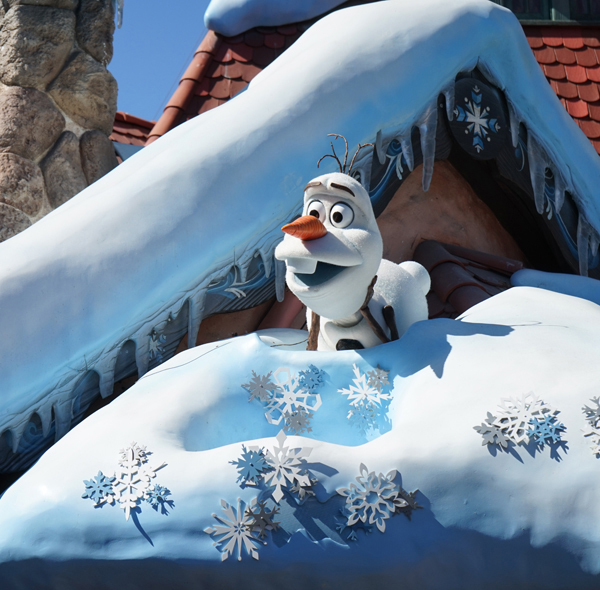 When we visited in February, Olaf was one of the newest attractions, entertaining visitors as they waiting in the (gasp!) 3-hour line to meet and greet with Anna and Elsa. 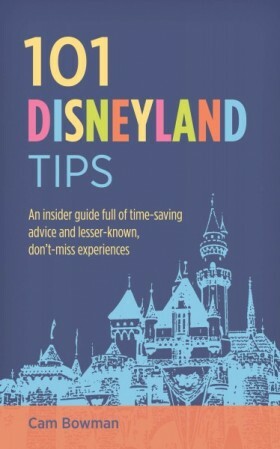 If you’re planning a trip to Disneyland, my friend Cam wrote the excellent insider tips book, 101 Disneyland Tips. (affiliate link). And my friend Tiffany pulled my favorite Disney tips out of me in Magical Birthday Moments at Disneyland. Have you been to Disneyland? What do you love about it? 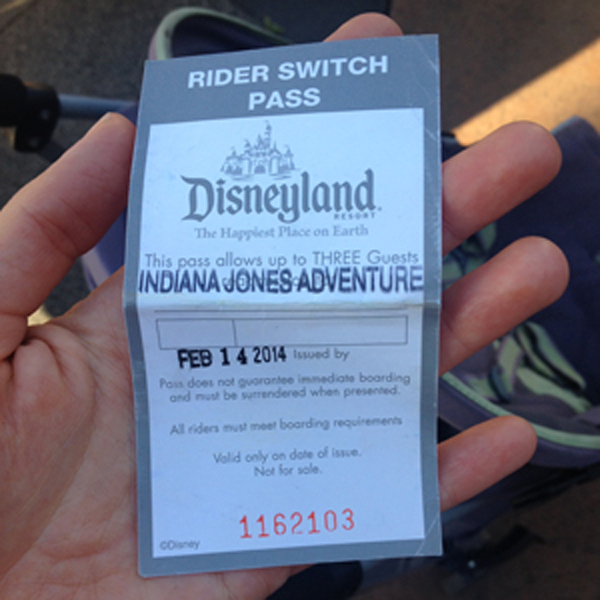 Note: Disneyland gave me two tickets to enjoy the park and I was not otherwise compensated to write this article. All ideas in this review are entirely mine. If you follow my blog, maybe you noticed that I’ve been on vacation? Maybe not…that’s okay too. I can barely find time to answer emails and follow the news, and I don’t expect you to either. I should have left a note to say, “hello, I won’t be around for a few days,” but I’m not super thoughtful like that. Will you forgive me? In case you’d like a peek at some of the cool business we were up to, I’ve got some photos for you of our recent trip to southern California. We wanted to travel light, so everything here is snapped with my iPhone (please consider this my formal apology for the lackluster shots). However, I highly recommend traveling sans camera. There’s so much less to worry about and the memories are mostly all up in the ol’ noggin. We ventured south on highway 101 toward Los Angeles (destination Disneyland! Woo-hoo), and first hit ground in one of my favorite weird California spots…Bubblegum Alley in San Luis Obispo. My kids were disgusted, but Scott and I think it’s rad. 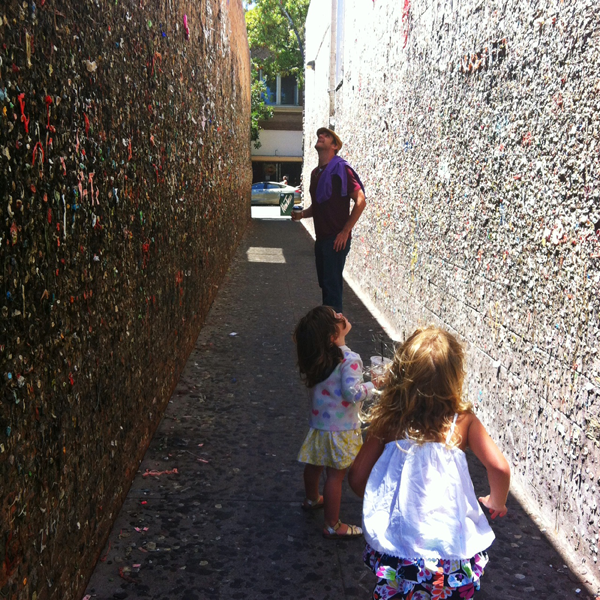 Local historians say that this sticky project started as far back as the 1950’s, and if you find yourself in the area you can add your bubblicious to the 1000’s of others that preceded you. We spent a few days with my parents before heading down to California Adventure and Disneyland. 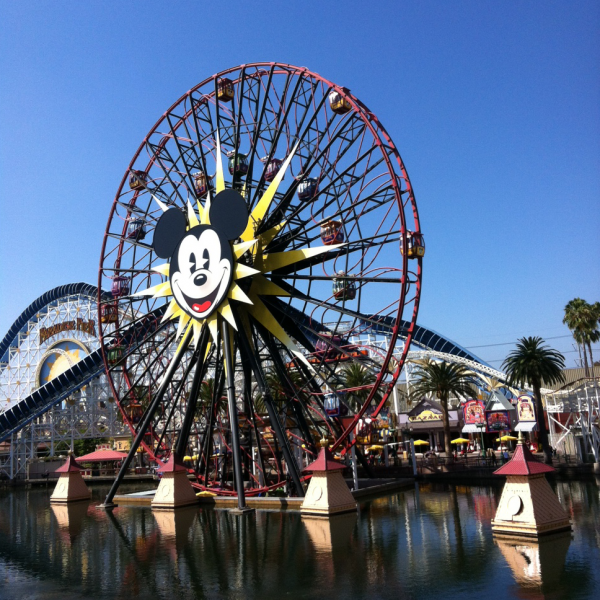 While I practically grew up at Disneyland, it was our first visit to California Adventure. Whatever I think about Disney and princesses and commercialization, I have to admit that they do an amazing job at creating a rich immersive experience that makes me 100% present the whole time I’m there. Incredible. We got there at the crack of early, and it was totally worth it to miss the summer crowds. 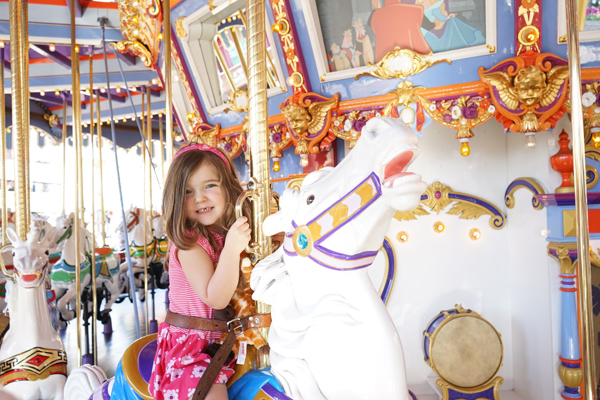 My almost 3-year old’s favorite ride was Mickey’s Fun Wheel, which you can ride stationary or swinging. We went for swinging…toddler’s choice. I screamed every time it dropped and my little one thought that was hilarious. 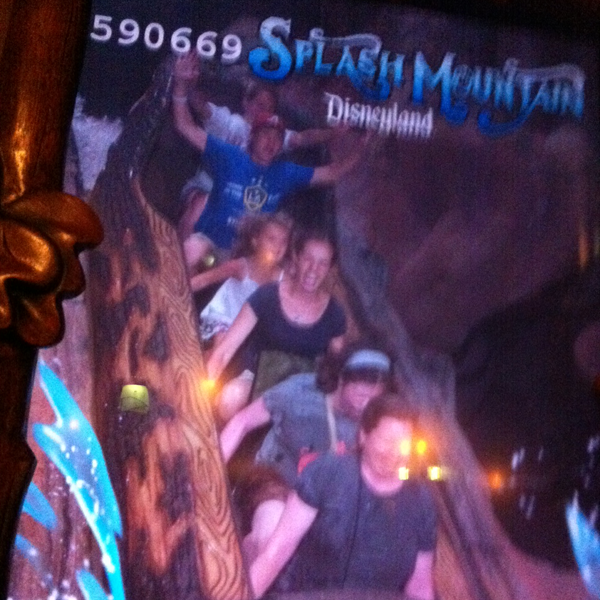 My older daughter is a thrill-seeker and her vote went to the Radiator Springs Racers. Here’s a tip if you’re going: get in the Fast Pass line for this ride as soon as the park opens. The line may seem long, but it’s so much shorter than waiting two hours to get on the ride. 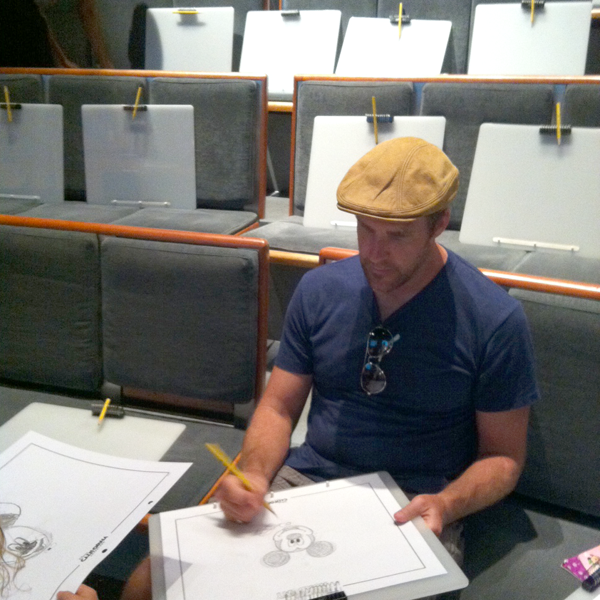 Another California Adventure highlight was the Animation Academy, where an artist walks you through the simple steps of drawing some of Disney’s most popular characters. The set-up is awesome, and I was surprised to see my 2-year old got in on the action (complete with a crown, of course). 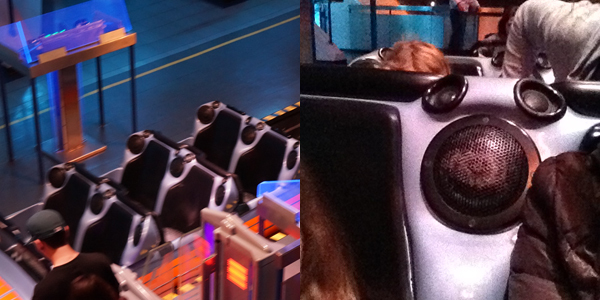 N, my now five-year old, has slightly different tastes, and went on all the big rides more than once. Tip for families with both little and big kids — if both parents want to go on the fast ride, but they have to also hang out with a child who’s too small for it, they’ll give you a “Rider Switch” pass. A trip to Disneyland is never complete without a visit to It’s a Small World. 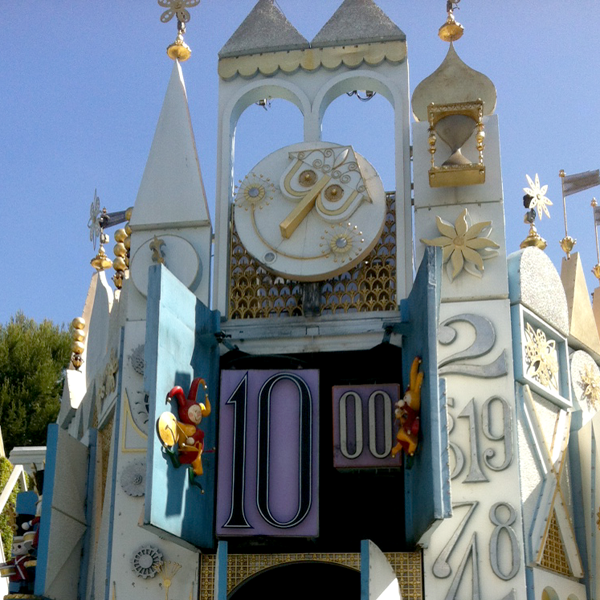 The clock tower opens up every 15 minutes, and the characters prance around on parade. Did you know that this ride was created for the 1964-65 New York World’s Fair? We were in LA to celebrate N’s 5th birthday. If you happen to live in California or know anything about California kids birthdays, you might recognize what’s going on in this next photo. That’s my little brother, the U.S. Marine, making magic happen. Any guesses? Leave them in a comment and I’ll congratulate you personally! 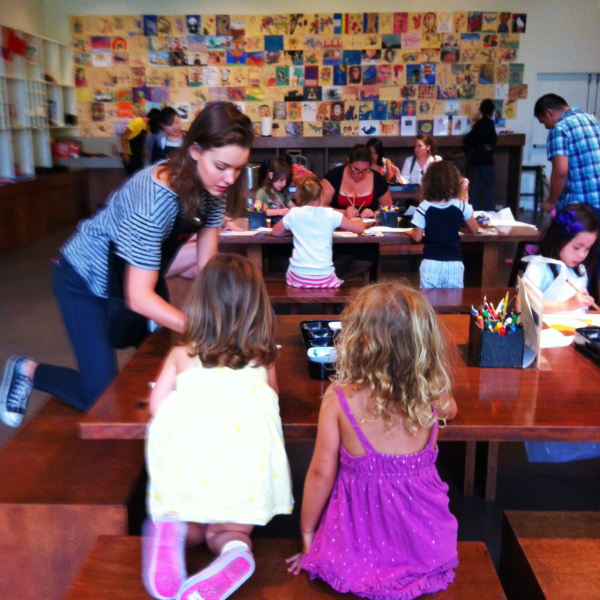 When we visit Southern California, no trip is complete without a visit to the Los Angeles County Museum of Art. My husband wanted to see the Stanley Kubrick and James Turrell exhibits, so while he was off learning and growing his brain cells, the girls and I revisited this favorite: Penetrable by Jesus Rafael Soto. 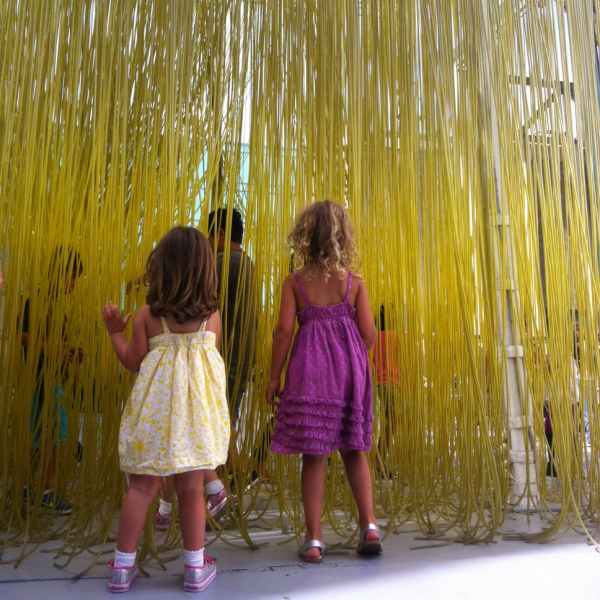 After playing in the sea of yellow spaghetti for what could have been hours (I had to drag them out), we went to buy our museum tickets (yes, the spaghetti is free). But wait, our tickets were free too! I’m so excited to share (and maybe you already know this) that LACMA has an amazing new program for young museum visitors under age 18. It’s called NexGen, and all kids are eligible to receive a free museum membership until they turn 18…and the membership admits them and their adult. With our free memberships in hand, we moseyed over to the Boone Children’s Gallery where an ongoing watercolor painting project was underway. The room was beautiful and truly honored the children who were creating in the space. I appreciated the simple decor inspired by the nearby Korean collection, sturdy wooden tables, high quality art materials, and patient staff who kept the space in elegant order. We easily spent a full hour painting in here! 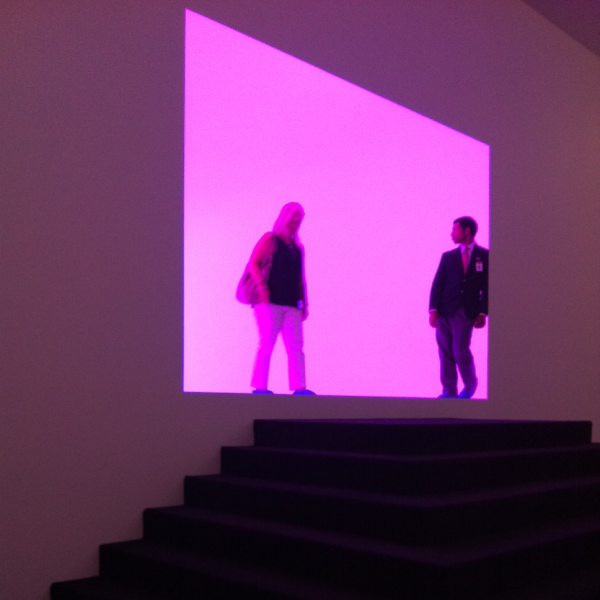 If you ever have a chance to see Turrell’s work, go! If you live in or near San Francisco, one of my favorite pieces by Turrell lives in the sculpture garden next to the De Young museum. And since it’s outside of the museum, it’s free! And then, after all that fun, I returned home and got down to business sorting through the copy edits for my book. 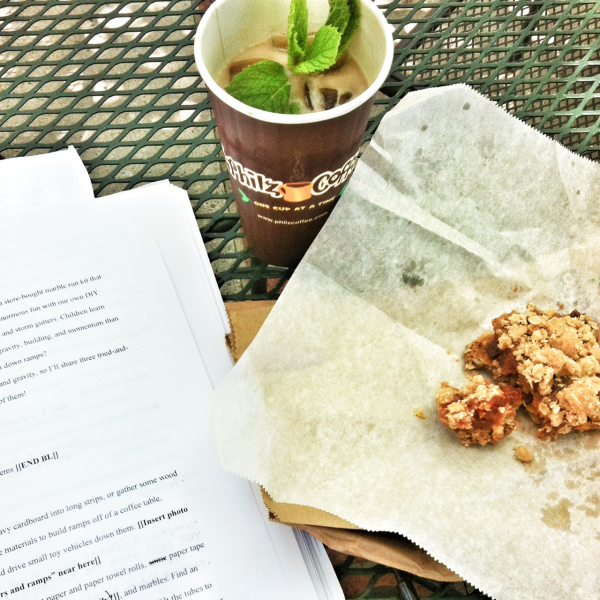 In case you’re wondering, that Mint Mojito coffee from Philz works wonders for powering a gal through over 200 pages of edits. I’m sure this won’t be the first time I’ll say this, but major props go to my amazing editor, Jenn, for her overarching vision and linguistic clarity. So, that should bring us up-to-speed! 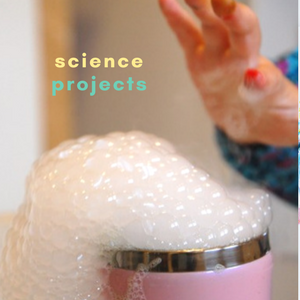 I’m hoping to deliver more tinkering/maker/creative wonders in the upcoming weeks, but I know that you’ll understand if I slip away to enjoy the pool with my kids, visit our local museums and amusement parks, and work on the design of my book. I’m thinking about popping in with quick ideas and updates since I’m sure that you’re just as busy as me. If you’re still reading this, a million thanks. And now I’ll expect you to get back to your summer. 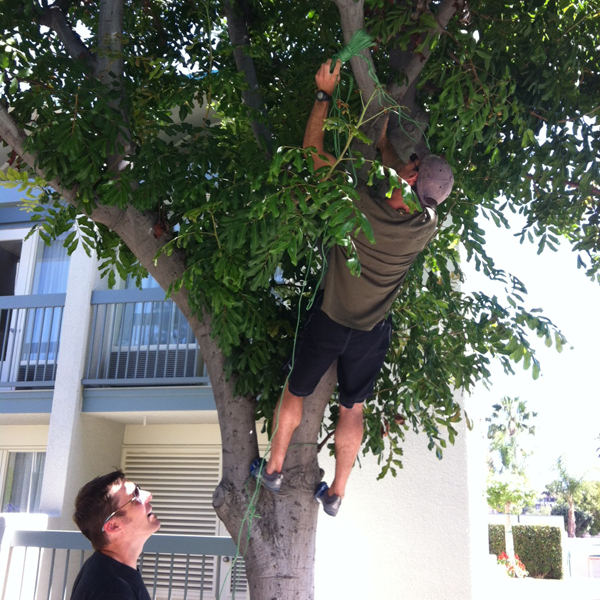 What’s my brother up to in that tree? 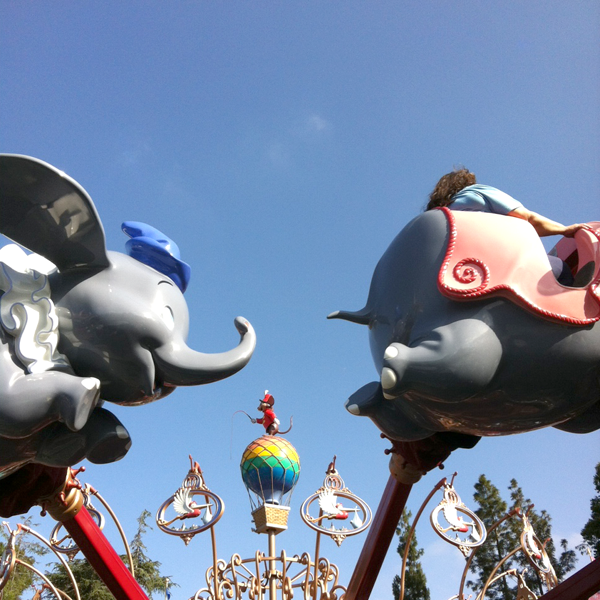 Do you have a favorite Disneyland or Southern California destination? And finally, what has been the highlight of your summer so far? This post is something new for me. I usually write about our hands-on projects, but I thought it would be fun to take our creative thinking out into the great wide world. In reference to the quote above, not only am I breaking out of the pattern of my blog posts as I write this, but it’s experiences like the one I’m about to share that encourage children to look at things in a new way and help build their creative thinking skills. As you read this, consider how you can break a pattern in order to look at things in a new way. Can you believe this view? It’s a favorite beach about 45 minutes from my house…not too far, really…and here’s the pattern that we broke: this was the first time we’ve been there in over a year! Sad, right? 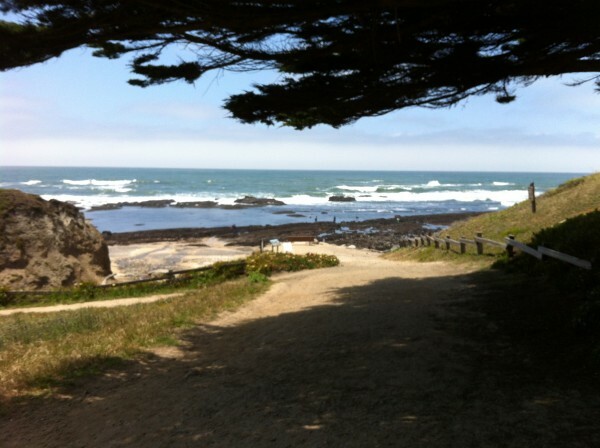 It’s an awesome spot called the Fitzgerald Marine Reserve, located in Moss Beach, CA, just north of Half Moon Bay. 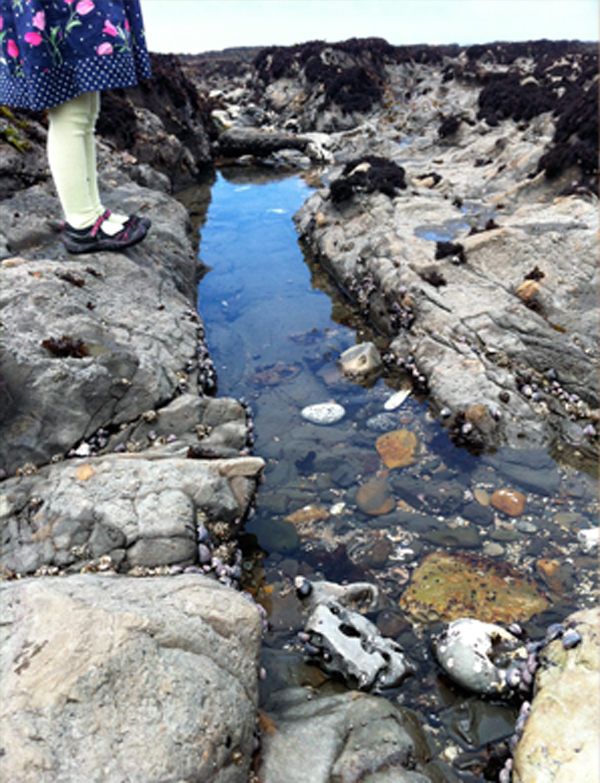 And what makes it doubly amazing is that you can walk all over the fascinating tide pools and check out the sea life up close. A kids’ dream. The reason we haven’t been in ages because my youngest, Baby R, hasn’t been stable enough to handle the rocks on her own and I wasn’t sure of my own footing with her in the carrier. Well, she’s hardly a baby anymore at 21 months, so there we were. I didn’t know how it would go with her, actually, but after holding my hands for a bit she wanted to brave the rocks by herself. She fell a couple times, nothing major, and seemed to enjoy the challenge of navigating the slippery, uneven terrain. N is almost 4, and turned this into a jumping adventure. Oh, and in case you’re wondering, my kids like to dress themselves. 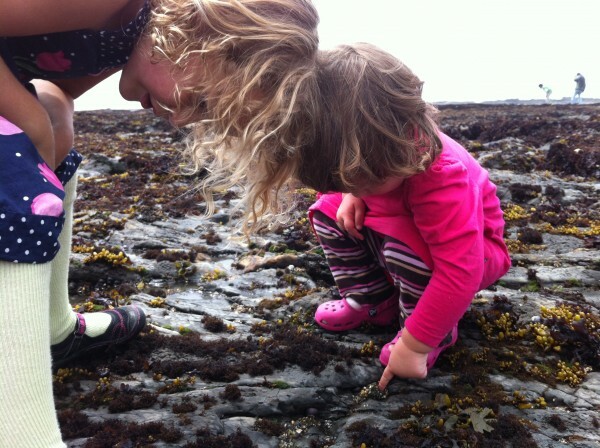 Who wears dresses and tights to the tidepools? Um, that would be my daughter. When I was a kid I loved discovering the squishy sea anemones that retract and squirt water when you touch them. So of course I had to introduce them to my little friends. They were hooked and would squeal with laughter when they found a colony of these little slippery creatures. This turned out to be a great bonding activity for these two. 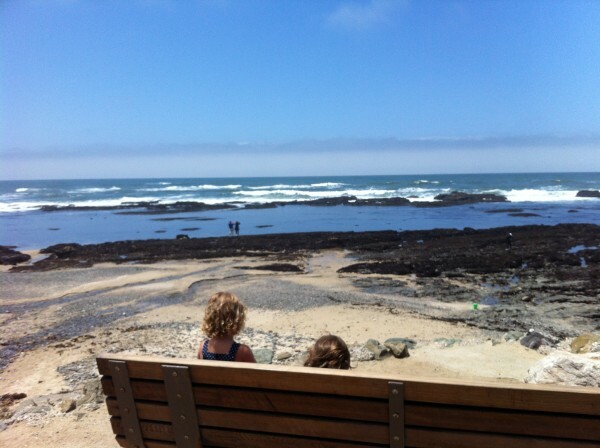 We found the perfect spot to eat lunch and talk about the molting seals (they’re sitting on those far-off rocks), talk to the park ranger about sea stars, and take in the fresh air. And without any extra effort on my part, this outing encouraged my kids to explore and follow their curiosities; building blocks of creative thinking. 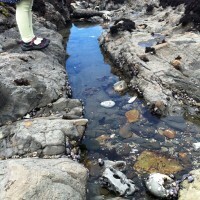 On the walk back to the car N asked when we could come back to see the sea stars that the ranger told us about. She wanted to know all about the harbor seals and how they’re different from ringed seals. And where do they go when the tide comes in? 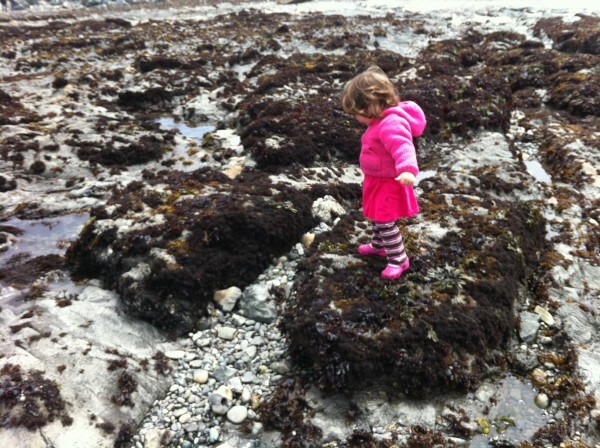 And she wanted to bring her dad back to introduce him to the tide pools. Spending time in nature, outdoors, and in a new environment does wonders for the mind. These experiences can challenge, excite, and educate us. So now I ask you: What can you do to break your established patterns in order to look at things in a different way? Go Explore Nature: Connecting with Kids and Nature. 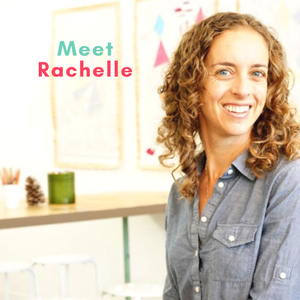 A beautifully written and photographed blog by Debi Huang, an LA-based mama of two boys. This is a must-read site if you live in California. I get all sorts of good tips for traveling with kids to Yosemite and Lake Tahoe, not to mention anyone who can explore nature in LA gets major props in my book. She also has a fantastic list of nature-related resources. Not to be missed. 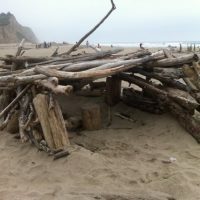 We went to a San Gregorio State Beach, a beach absolutely littered with driftwood and some of the most wonderful soft sand. My 10-month old was in sand heaven! Driftwood sculptures (like the one at the top) spotted the sand for as far as the eye could see. (which wasn’t too far, truthfully, given all that chilly fog at 4 pm!). We were captivated by these and wondered about how they were made, who made them, and who might relax or even live in them. 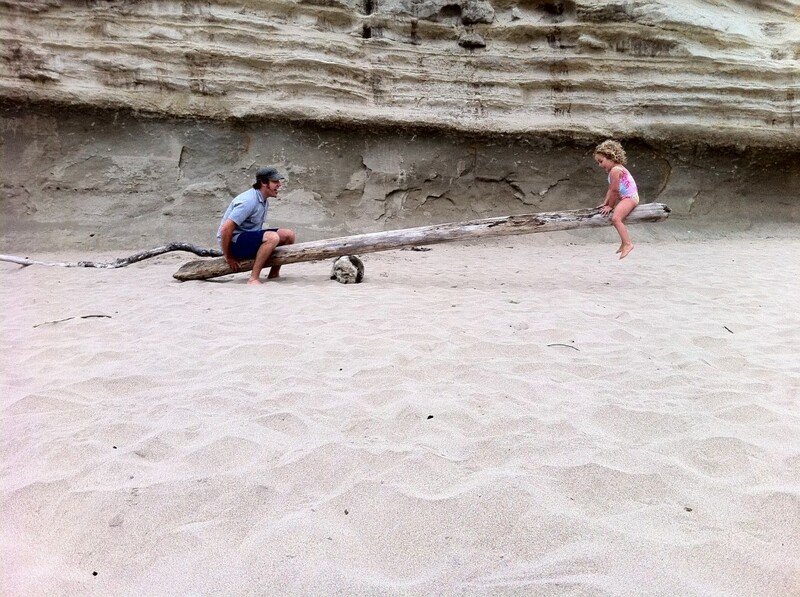 But when we spotted he driftwood see-saw (!!!! ), it was love at first sight. I’ve never seen anything like it and found it to be so simple, yet so captivating. 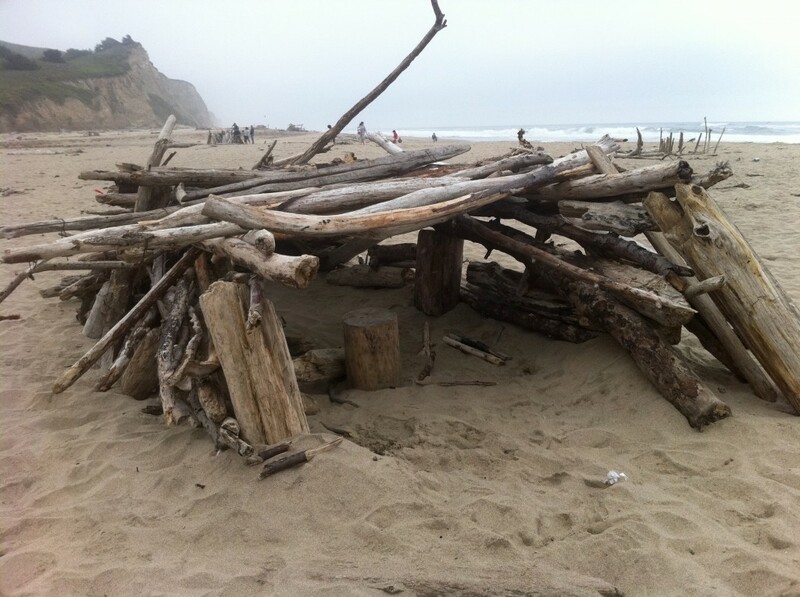 What are your favorite things to do on the beach?